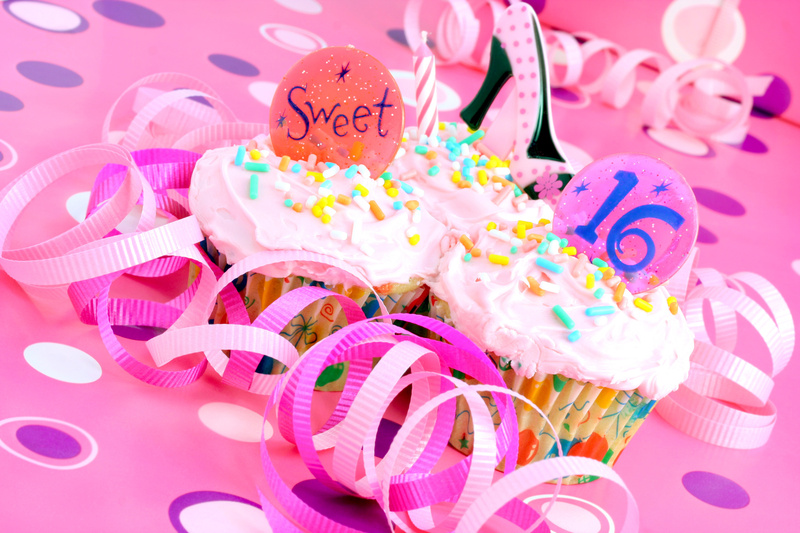 Want to make your teenager’s sweet 16 bash to be as special as she is? We’re here to help you! Learn how to throw an epic party that she’ll never forget (while keeping your sanity in check!). If you’ve ever seen an episode of My Super Sweet 16, then you know just how over-the-top this teenage milestone can be. Before you even sit down with your teenager, you need to determine a budget that you’re comfortable with. This budget will include everything from invitations to food to activities. Your daughter is old enough to know your budget, so once you have a figure in mind, share it with her. This will help the both of you narrow down your planning process. It goes without saying that the number of guests will largely determine the kind of sweet 16 party your daughter has. Larger guestlists will require bigger venues, and smaller, intimate gatherings can take place in the home or backyard. Talk to your teenager to determine what she wants before diving head first into planning! Does she want to invite everyone in her class? Just her close friends and relatives? Just 1-2 friends to do something really extravagant? What is your teenager into? Does she love the outdoors? Music? Dancing? Sports? It’s important that you sit down and choose the kind of activities (if any) she wants to have at her party. Maybe she’s into having an awesome backyard pool party with a makeshift DJ (hello, Spotify, fun floaties, and an ice cream truck. Or, maybe she’s into dressing up for a night on the town and riding in a limousine to a fancy restaurant with a friend. Or, maybe she’s into having a classic game night with all her friends- complete with old-school music and costumes. Let your daughter come up with the ideas, and you do the research for price and scheduling. Together, you’ll make a terrific team. We’ve all heard that infamous phrase, location, location, location. As it turns out, location does matter when it comes to planning the ultimate sweet 16. Again, this will largely depend on the number of guests and the type of party your daughter is going for. Don’t be afraid to think outside-the-box and don’t be afraid to shop around for different quotes! If you’re going all-out for the sweet 16, you’re going to need the right professionals to tackle the job. Many teenagers like some option for dancing at their parties. If you have a big group, you may want to have a DJ to keep the music flowing well throughout the party. Ask around for recommendations and make sure that your daughter can meet with him or her in person- they need to have a strong connection before you sign the contract. If you want to save money, making your own playlist can definitely do the trick. If you have your own speaker, just hook up your phone or computer with downloaded or streamed music onto it. Your daughter won’t be 16 forever (though this may also be a good thing!). With that in mind, you’ll probably want to be able to cherish the special memories of her party for years to come. Even though many parents put it on themselves to photograph the party, you may miss out on all the fun. You can consider hiring a professional photographer, as most charge per hour. If you’re looking to save money, see if you can commission a photography student or a trusted family member. Want to get even more pictures of the special day? Make a sign with a designated birthday hashtag and encourage everyone to upload their own pictures to social media using that tag. There is no shortage of options when it comes to food. Talk with your teenager to get a feel for what she’s interested in eating. You can either use a catering company to provide the meal or you can DIY. If you’re hosting the sweet 16 at a restaurant, you’ll already have food covered. PS: Don’t forget the dessert! It’s everyone’s favorite part of the meal, anyway! Coordinating a party can take a lot of work, but having a schedule keeps your event on track. You’ll want to give guests up to half an hour to arrive before starting any major activities (someone will always be running late). You’ll also want to plan enough time for each activity with enough time for relaxing and socializing. Don’t cram too much in, and talk with your daughter to make sure that she’s on board with the itinerary as well. Expect about a half hour to an hour to unwind and wrap up. Make sure that you give guests plenty of time to gather their belongings and send their best wishes to the birthday girl. If you have music playing, this is the time to lower the volume, which signifies that it’s time to get going. The party doesn’t have to end just because everyone leaves. Give your guests something symbolic and special to commemorate the unforgettable day. Even though party favors aren’t a necessity, they can leave a lasting impression on all your guests. It may be hard to believe that your little girl is already a full-fledged teenager! Give her the time of her life with the party of your dreams! Want to sweeten the event even more? Contact us today for the best ice cream truck rentals in town! After all, what 16-year-old says no to ice cream?